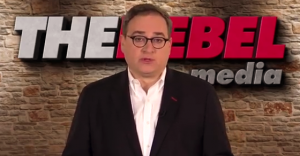 Why did a website founded by Ezra Levant give a platform to neo-Nazi propaganda? Why did Rebel Media give a platform to neo-Nazi propaganda? This week, the right-wing website run by Ezra Levant published a story featuring an anti-refugee video sourced from a YouTube channel belonging to an affiliate of an organization called Golden Dawn. Golden Dawn is a fascist political party based in Greece. That leader is also currently on trial for operating a criminal organization and orchestrating violent attacks on political opponents, immigrants and gay people, along with 69 other members of the party, several of whom have been accused of being linked to a string of murders. Canada's biggest newspaper chain has pulled a story sponsored by a group that suggests scientists are not worried about the impacts of climate change. Editor’s note: Following publication of this post, the sponsored story was restored to the Calgary Herald’s website, but does not appear on the websites of several other Postmedia newspaper websites where it also appeared earlier. This post has been updated to include comments from Postmedia. 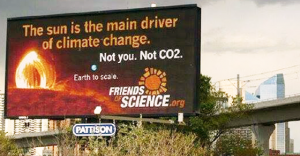 Canada’s biggest newspaper chain pulled a story sponsored by a group that suggests scientists are not worried about the impacts of climate change and blames warming temperatures on sunshine.